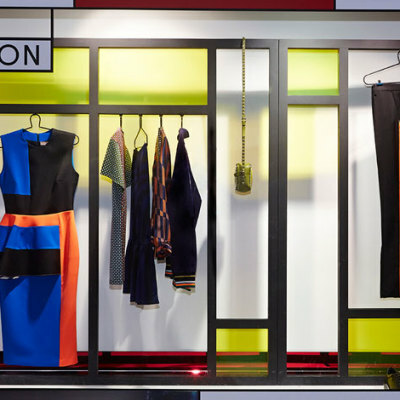 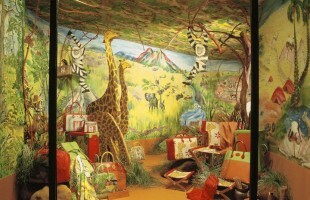 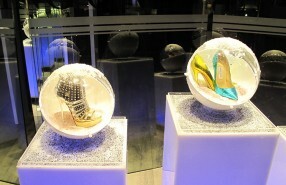 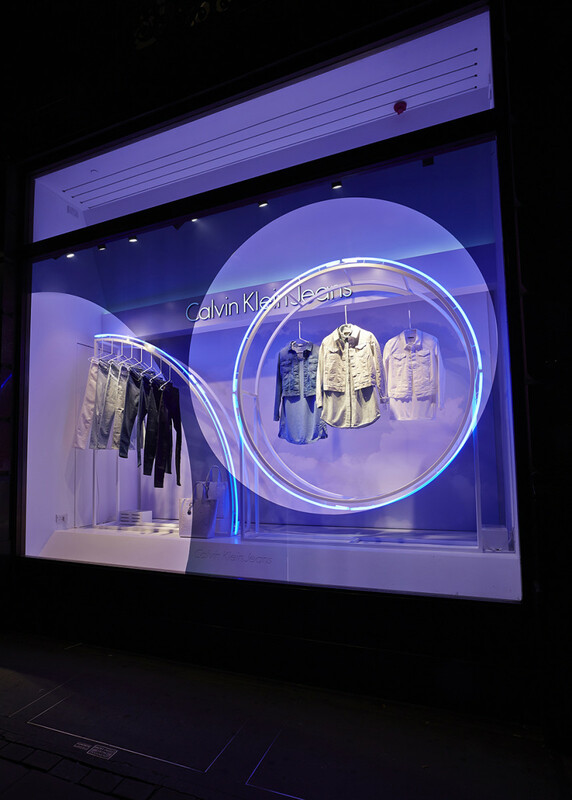 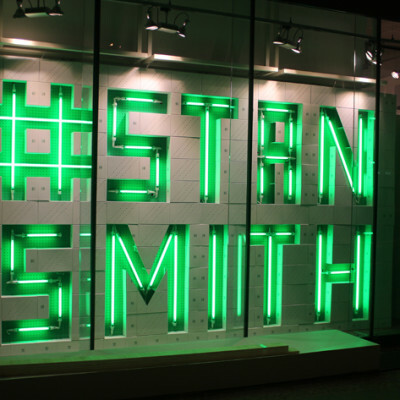 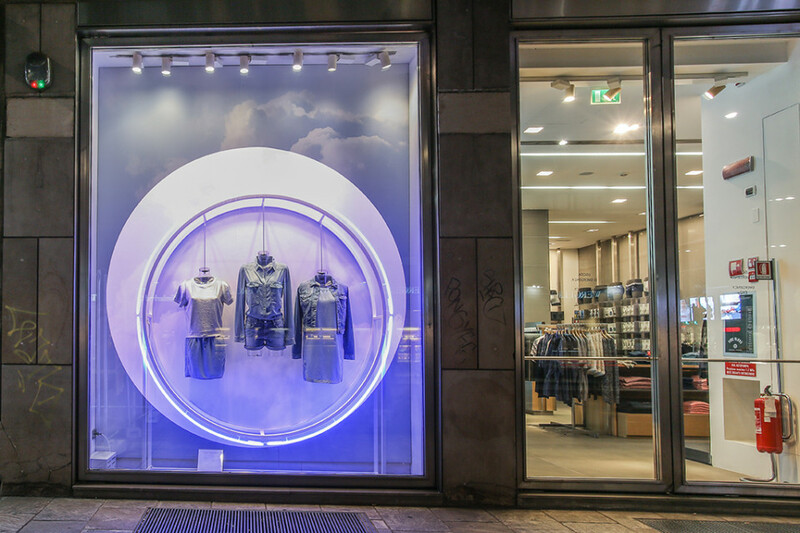 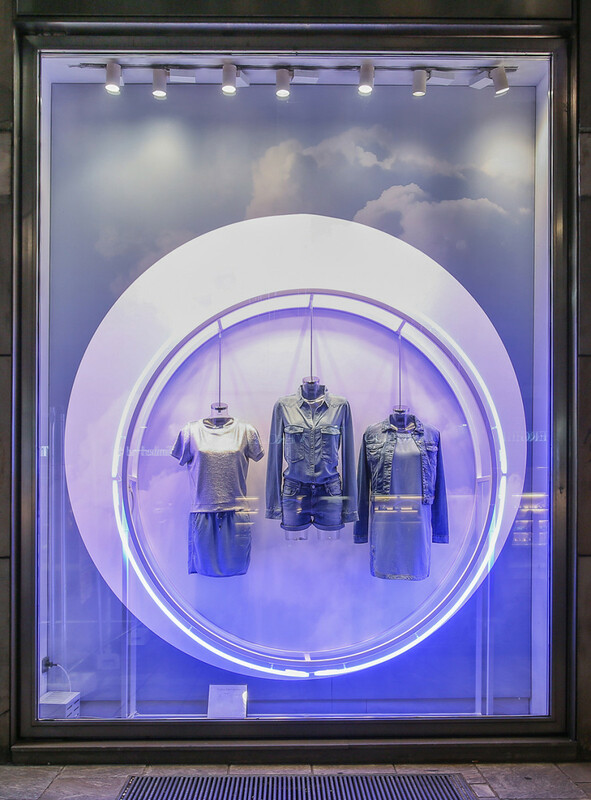 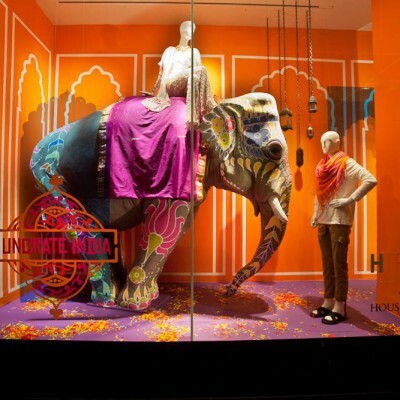 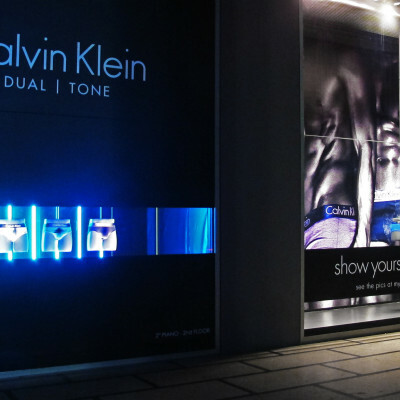 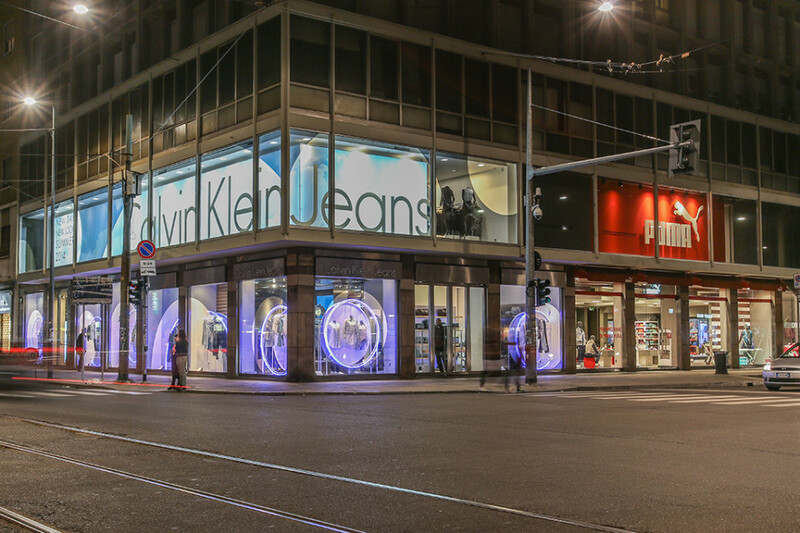 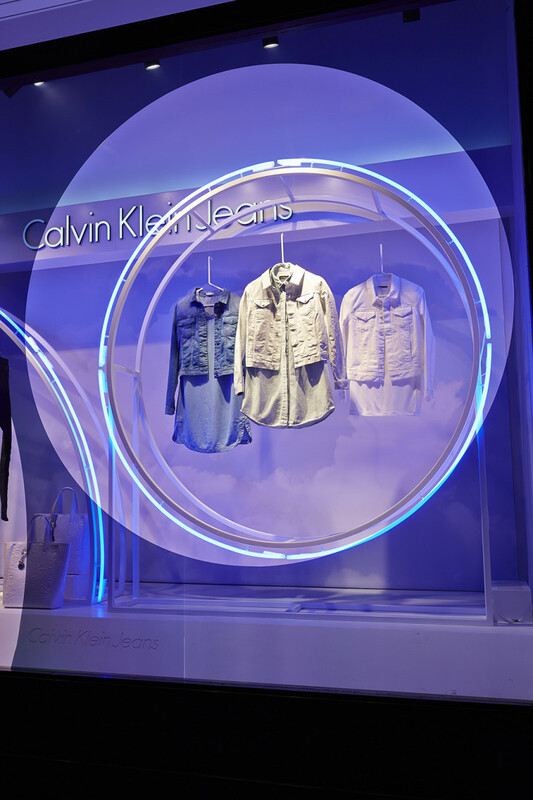 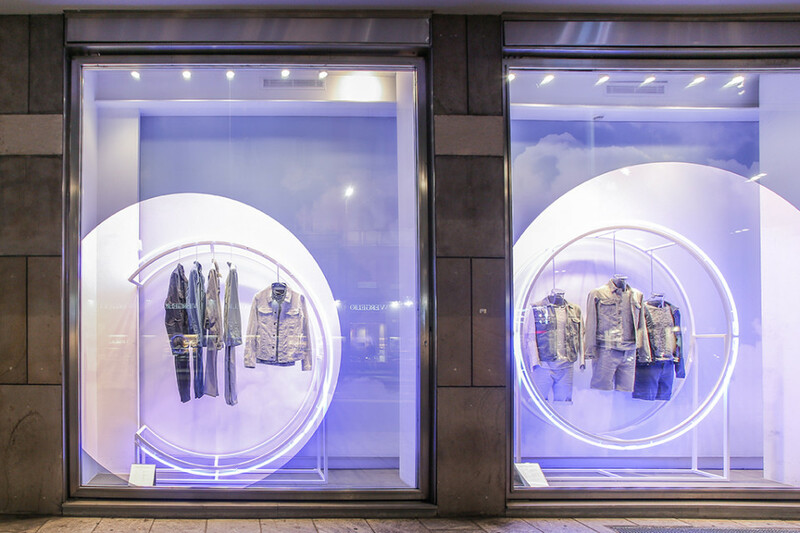 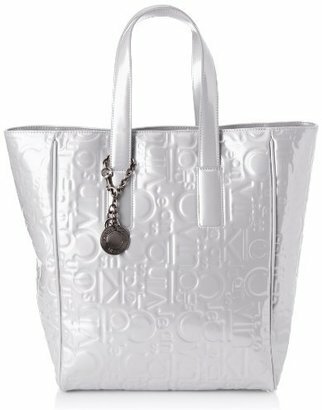 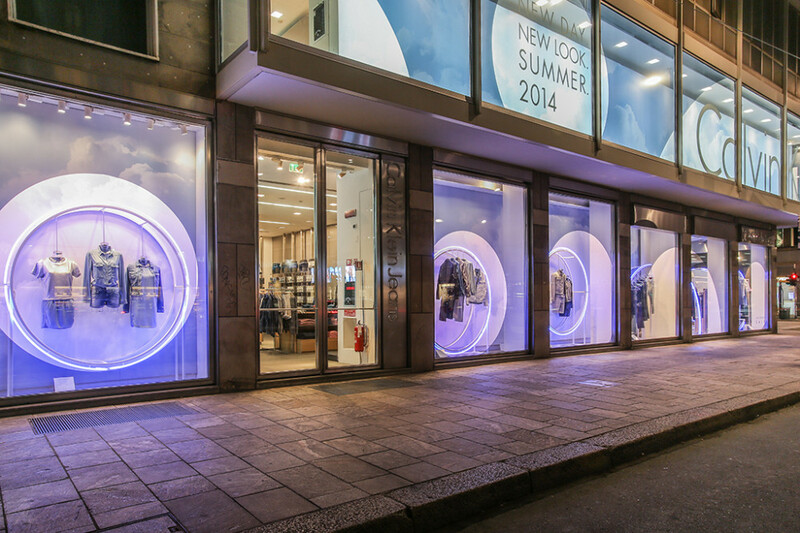 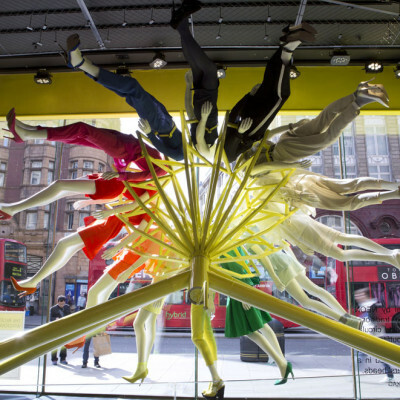 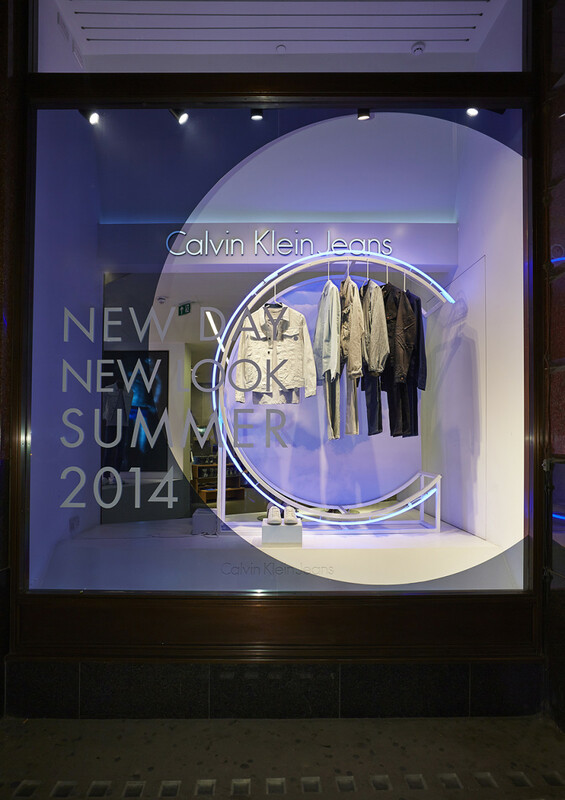 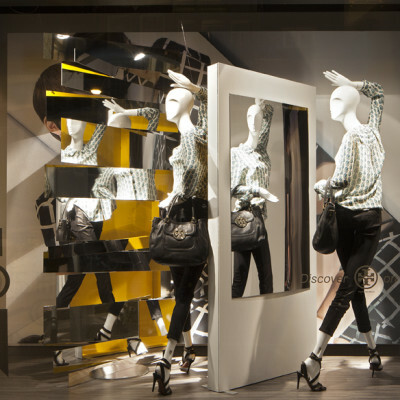 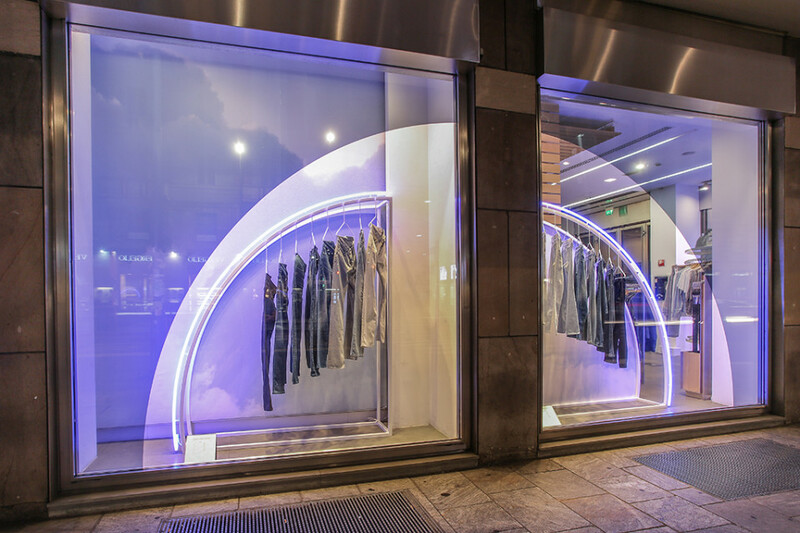 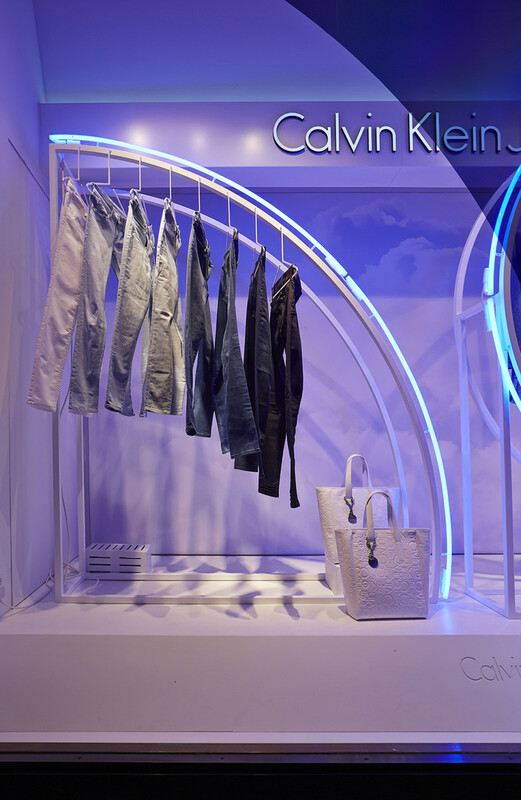 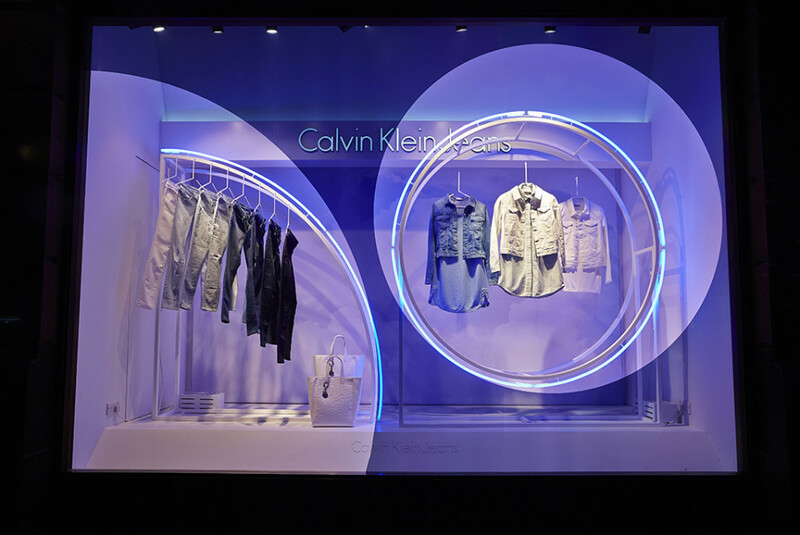 Calvin Klein collaborated with StudioXAG creating the ‘Up In The Clouds’ Summer window displays for Calvin Klein flagships in Milan and London, and other stores worldwide. 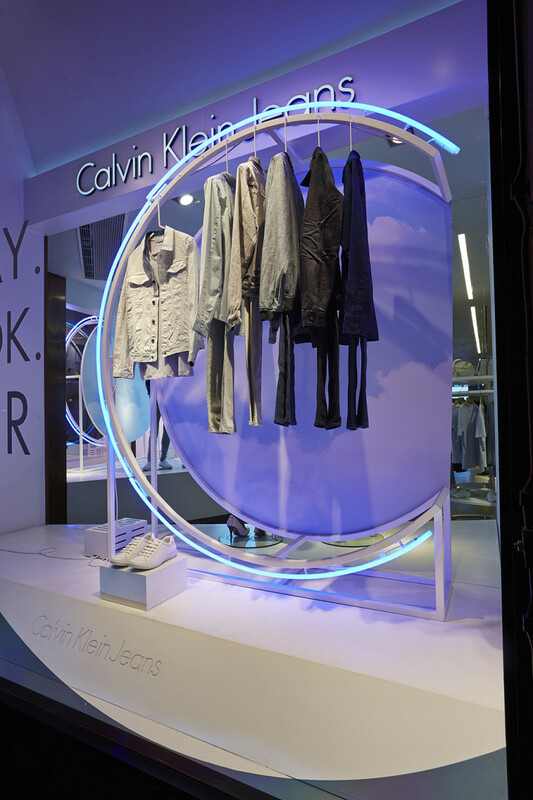 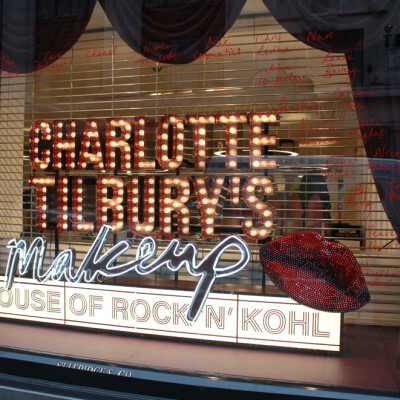 Their huge majestic curved metal rails highlighted in cool blue neon, framed in windows tinted with mirrored cutout vinyl. 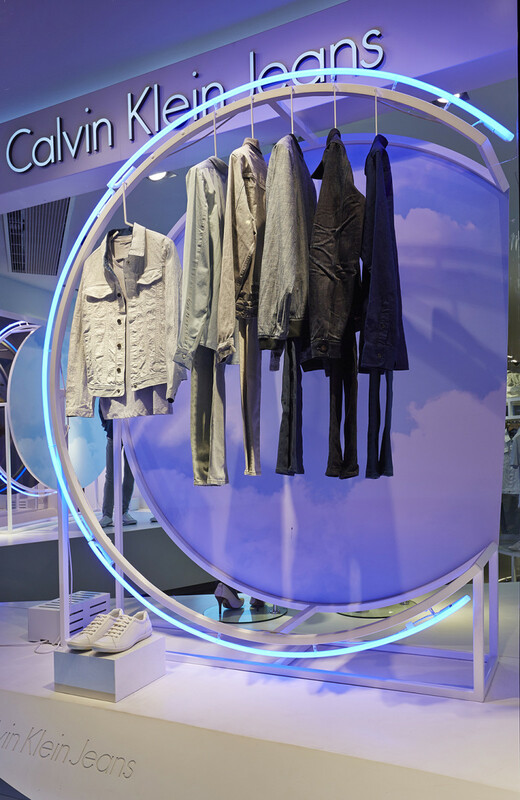 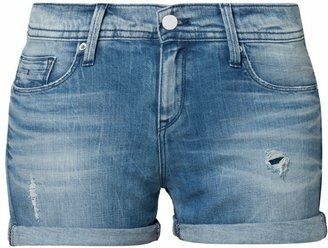 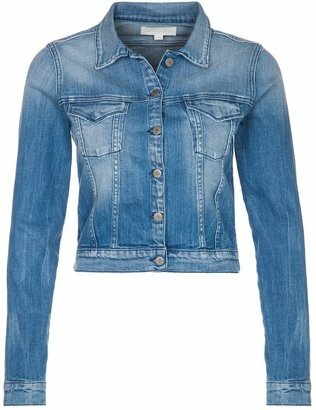 Set off against a dreamy sky backdrop, washed out denims hang within the circle, appearing weightless in the clouds.